Item # 304681 Stash Points: 3,195 (?) This is the number of points you get in The Zumiez Stash for purchasing this item. Stash points are redeemable for exclusive rewards only available to Zumiez Stash members. To redeem your points check out the rewards catalog on thestash.zumiez.com. 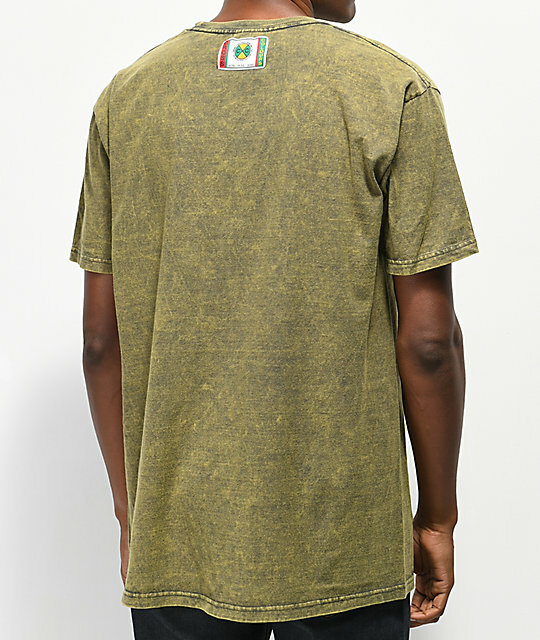 Get an urban street style with the Ya Dig Label Green Acid Wash T-Shirt from Cross Colours. 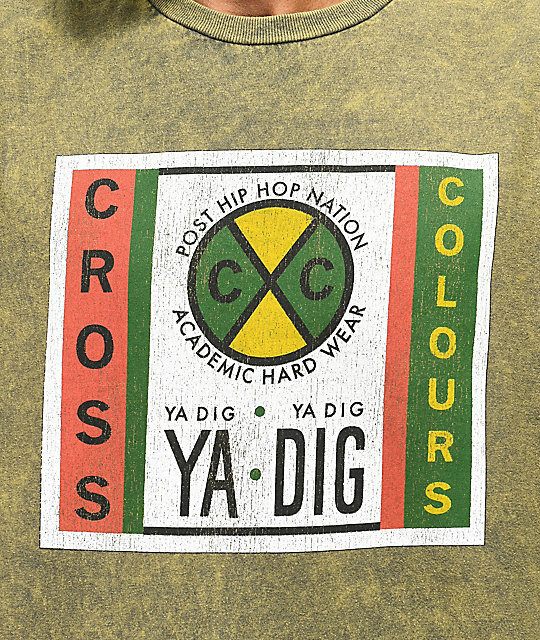 This green acid wash tee shirt features a Cross Colours logo at the chest in their signature red, green and yellow colorway. 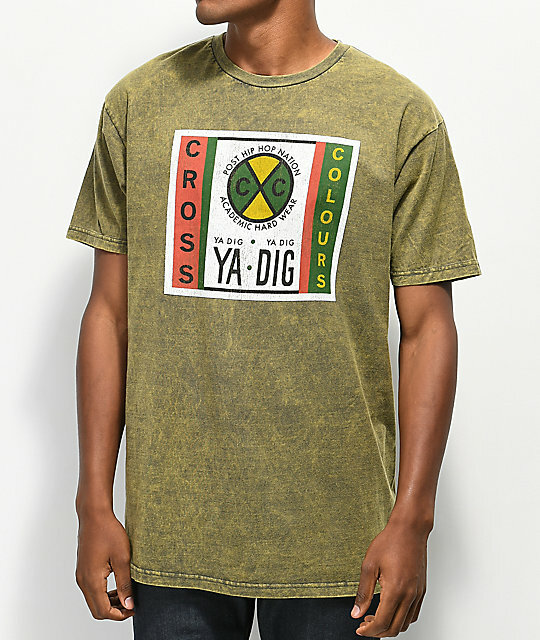 Ya Dig Label Green Acid Wash T-Shirt from Cross Colours.